Can you name the New Seven Wonders of the World ? 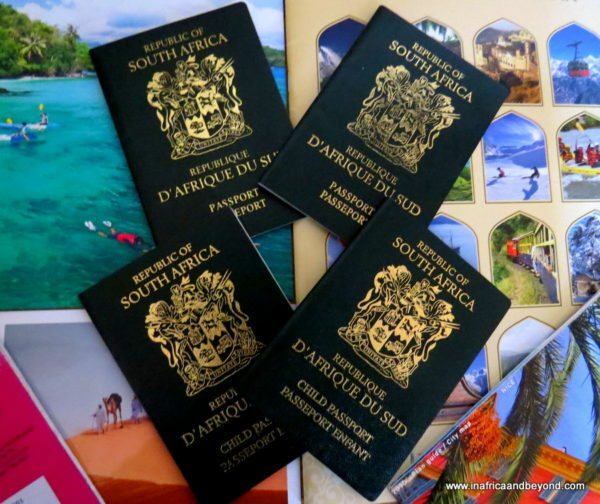 Unless you are an avid traveller…or obsessed with lists, you probably can’t. With so many places and attractions now being labelled as wonders, it’s not surprising – and of course, there’s no need to remember them if we have Google at our disposal. Most of these lists were drawn up after thousands of people around the world voted for them. The New Seven Wonders were announced in 2007. They’re not really new – except when compared to the original Seven Wonders, (of which six don’t exist anymore). I’ve been to 5 of them. … really is impressive. Built between 1358 and 1644, it is over 21000 km in length. The wall snakes from the East to the west of China, over mountains, deserts and plateaus. Parts of it are now in ruins or have disappeared but large sections still remain. I walked along a small fraction of it at Badaling. It was hot and exhausting. The crowds at the bottom thinned out as we ascended, but eventually I couldn’t walk any more uphill. My husband continued while I photographed the spectacular views. Read more about my experiences in Beijing. 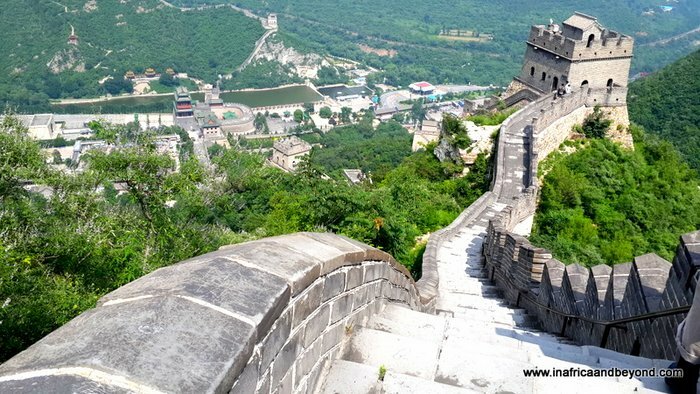 Tip: At the Mutianyu section of the Great Wall, you can take a cable car, chairlift or toboggan. 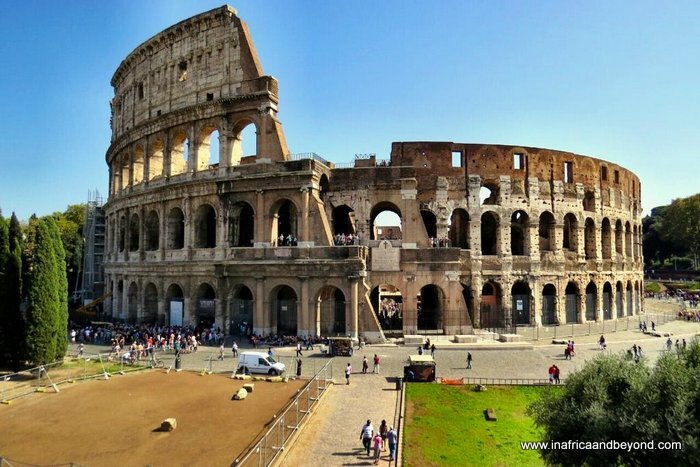 …in Rome was constructed around 70-72 AD and was the largest amphitheatre ever built. We went there at the tail end of an exhausting Mediterranean trip and by the time we got to Rome, we were tired -of the crowds and the heat. The city was overrun with tourists and the chaos and crowds made me yearn for the solitude and serenity of the bush. Nevertheless, standing in the huge Colosseum, a marvel of Roman engineering, we couldn’t help but imagine all the gladiator fights and executions which took place there centuries ago. Read more about my experiences in Rome. …was built between 1631 and 1648. 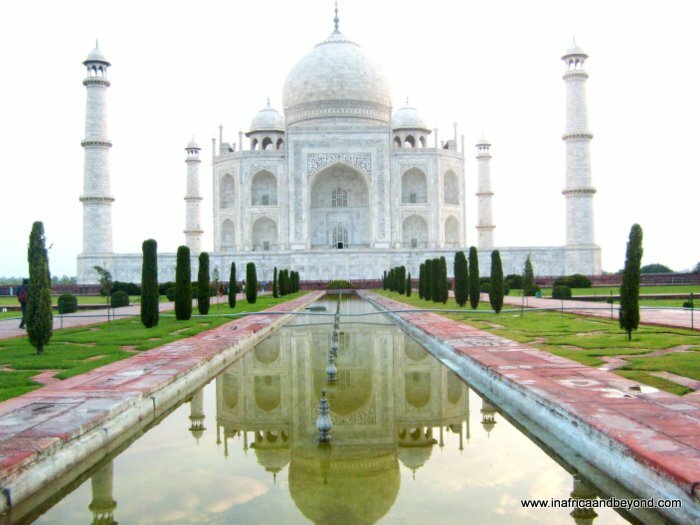 Largely considered as a monument to love, it is a magnificent structure, a white marble mausoleum covered in intricate design. The area around it however is polluted, crowded and bursting with hawkers and beggars. Once in the complex, you will probably forget about the surroundings however you will have to return to reality soon. Read more about my adventures in India. 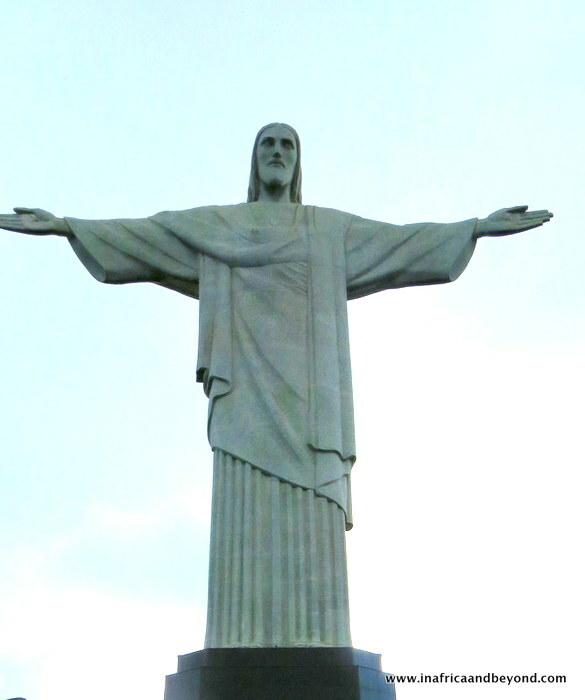 Photos of Christ The Redeemer always show the statue towering over the city. Those photos are taken from the harbour. The statue itself is not as tall as I imagined it would be. It is the Corcovado Mountain that it stands on that gives it the impressive height. To get there, you have to drive through one of the largest urban rainforests in the world, which is worth exploring too. When we got to the top of the mountain and the base of the statue, I was so mesmerised by the breath-taking panoramic views that it was only a while later that I looked up and remembered that we had actually come there to see the statue. Read more about my experiences in Rio. Petra made me feel as though I had stepped back in time. It was completely different to any place I had ever been to before. 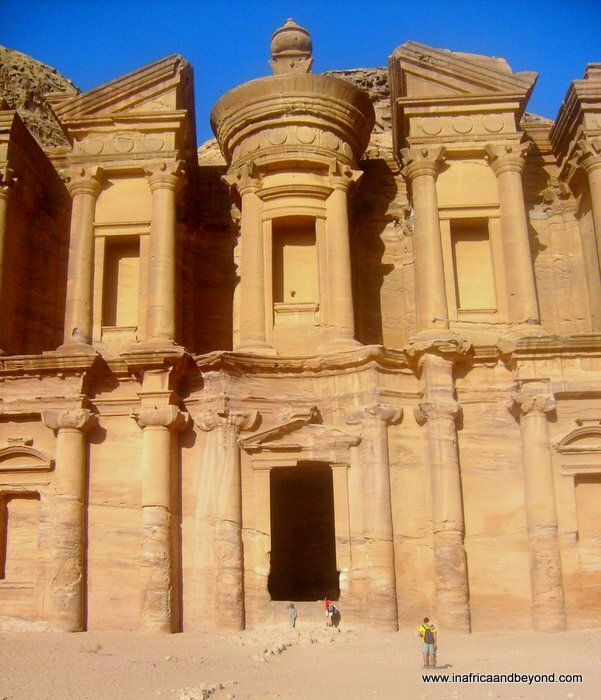 Dating back to the 5th century basis I was fascinated by the houses, tombs and temples built into the rocky cliffs, testament to the engineering skills of the Nabateans. I would definitely rate this as one of those places to see before you die. …was given honorary status as the only surviving wonder of the ancient world. It took 20 years to build using around 100000 slaves. 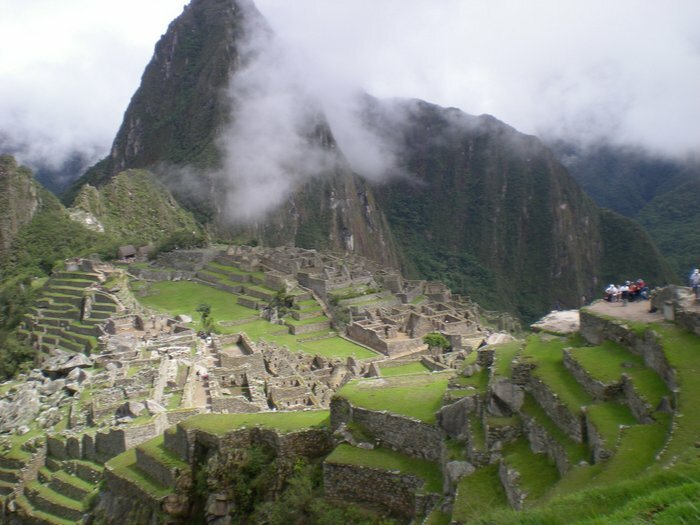 Although it was built around 2560 BC, new discoveries are made about it to this day. Wow! We admired them from the outside but were unable to go in, on the day we visited. 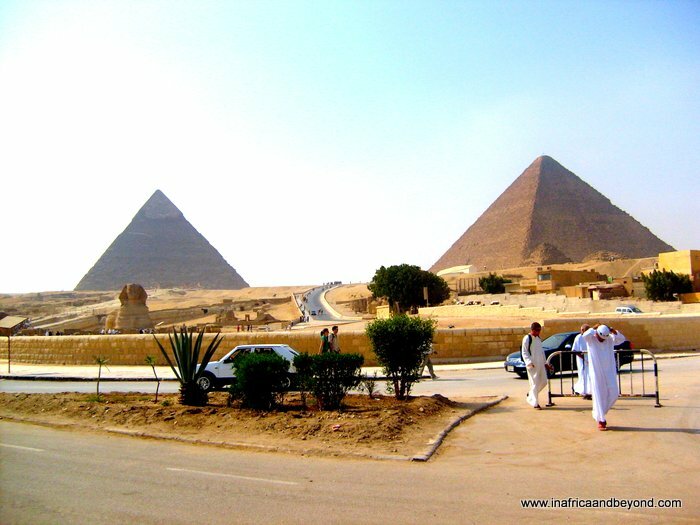 Ancient Egypt has always fascinated me and I’d love to go there again. Read about my visit to Cairo. Chichén Itzá is a complex of Mayan ruins on Mexico. 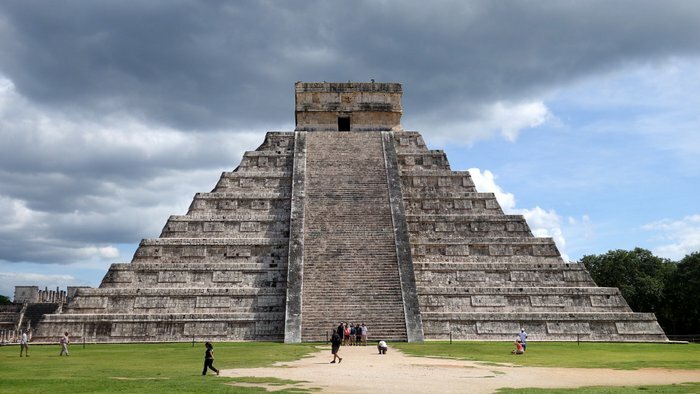 It is dominated by a massive pyramid, known as El Castillo. I had an opportunity to visit it before it was declared a wonder but I didn’t. When we stopped at Conzumel in Mexico on our Caribbean cruise, a trip to Chichen Itza was one of the excursion options, but we chose to go to the Tulum Mayan ruins instead, as they were nearer. According to the 7Wonders.org website, we also have the following lists. There is some overlap between some of them. We also have the Seven Wonders of Nature – (I’ve been to two of these – Iguazu Falls & Table Mountain). Have you been to any of these? What are your thoughts? Read about more of the world’s most amazing places . 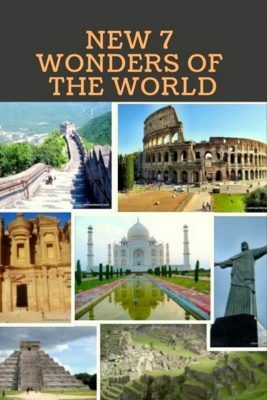 I think we’re avid travelers but even I can’t track the lists of seven wonders of the world. In Cape Town, Table Mountain is advertised as part of a new seven wonders list… go figure. Anyway I love all the places on this list. 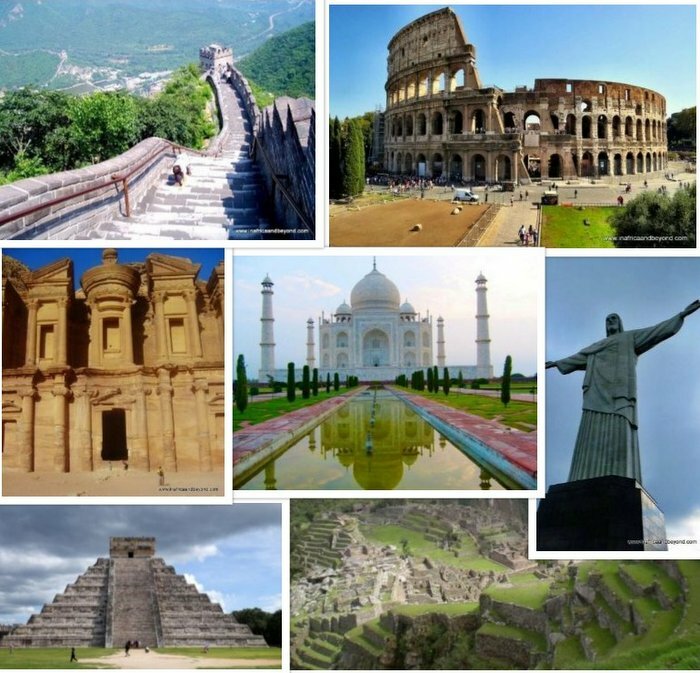 To my own surprise, between me and my husband, we’ve been to all of these wonders except Rio. So there is a wonder to strive for.